Video of an explosion in the sky caught with an iphone through a telescope. Video was taken at approximately 8:50PM. Watch closely at the 3:56 mark as a string of lights appear to the left of the stationary object then close in on it and suddenly turn into a larger object. Mysterious UFO / OVNI Lights Over Pampanga, Phillipines / Multiple Witnesses! Several Witnesses reported Mysterious Strange lights over Pampanga. 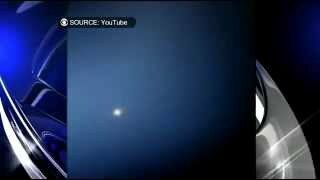 UFO orb sighting caught on camera in Michigan has the neighborhood dogs barking too! Footage from security cam shows strange shape-shifting lights in the sky. Multiple UFOs spotted in the skies over Dundee, WI during UFO days. Who were the Annunaki, who inhabited the earth during the time of the Sumerians? Evolution, extraterrestrial intervention, mankind and creation.